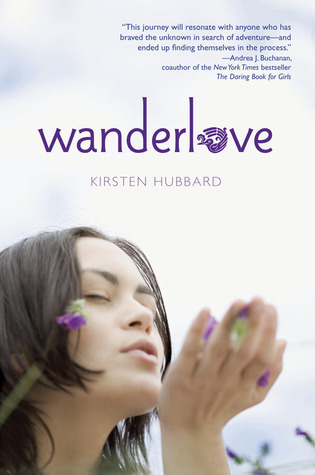 Somewhat cheesy title aside, Kirsten Hubbard’s young adult novel, Wanderlove, is a character driven travel narrative about finding your way back to the person you want to be. It tells the story of 18-year-old Bria Sandoval, who, after giving up on her dreams of art school and getting out of an unhealthy relationship with her high school boyfriend, signs up for a guided tour through Central America. However, following La Ruta Maya with a group of middle-aged tourists wasn’t exactly what Bria had in mind so when she befriends a few daring, young backpackers, she decides to ditch her tour group, and travel with them instead. It’s a story about seeing the world, finding yourself, and falling in love. And while I personally love a good YA (young adult: library-speak for books aimed at teens) romance, I’m recommending it to you because its perspective on travel is refreshing. Without slowing down the narrative, this book manages to explore how travel is personal (one of my favorite concepts) varied, and valuable. It touches on the snap judgements we make about other travelers and about the places we visit, and reminds us that we don’t know the whole story about anyone or anywhere. It also stresses that someone has always traveled more than us, someone has always traveled less than us, and it’s not actually a competition. This book goes on to ponder the desire for “off the beaten path” travel experiences, and discusses how routes that once weren’t frequently trod can change quickly. One backpacker tells Bria that she can google almost any destination to learn more about it, and she realizes that this isn’t a bad thing — it doesn’t mean these places aren’t worthwhile or special. While this novel holds up backpacking as an ideal form of travel, it doesn’t decry other travel styles. In fact, it actively works to respect the fact that not everyone can go backpacking. Written from Bria’s point of view, this book also includes pencil drawings by the author, and lists, which Bria has written in her journal, that illustrate her evolution as a traveler. Her insights into backpacking for the first time ring true to life, and the adjective that keeps coming to mind to describe this book is: sweet. If you don’t want to read a sweet love story about a first-time backpacker coming into her own, I understand. But I think you’re missing out. Have you read any good books lately? If you’re interested in some additional inspiration, you should check out the tumblr Kirsten Hubbard set up for Wanderlove, where people can submit photos of their favorite places and travel experiences.